The Global Harvest Initiative’s new report on food security spotlights TechnoServe’s work with the poultry industry in Mozambique. How can the world boost agricultural productivity to meet increasing demand while conserving environmental resources and improving people’s lives? This is the subject of Global Harvest Initiative’s fourth annual Global Agricultural Productivity Report. By 2050, agricultural output will have to double to keep pace with population growth, changing diets and increasing demand. The report, released last week at the World Food Prize Symposium in Des Moines, Iowa, examines the state of global and regional agricultural productivity. It seeks to identify sustainable solutions to improving productivity across agricultural value chains and the key policies necessary to support these measures. 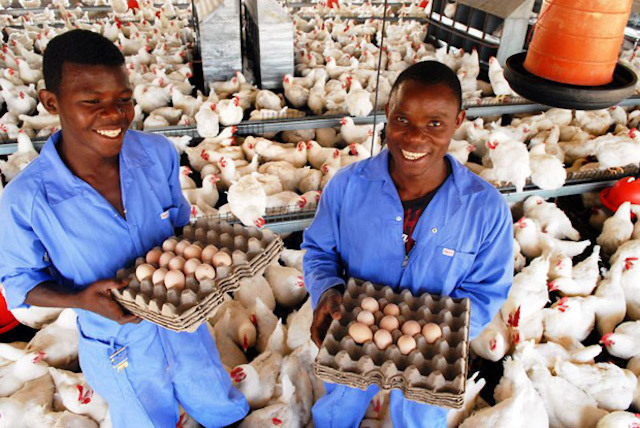 The report cites four case studies, including TechnoServe’s work with Mozambique’s poultry industry, to illustrate how well-designed value chain programs can sustainably increase productivity. TechnoServe worked with players along the entire poultry value chain — from farmers and associations to companies and government agencies — to help the industry’s sales grow from $25 million in 2005 to $160 million in 2009.